Hyperflex is a Hyper Converged Infrastructure solution and now Cisco announced the next gen of it ! 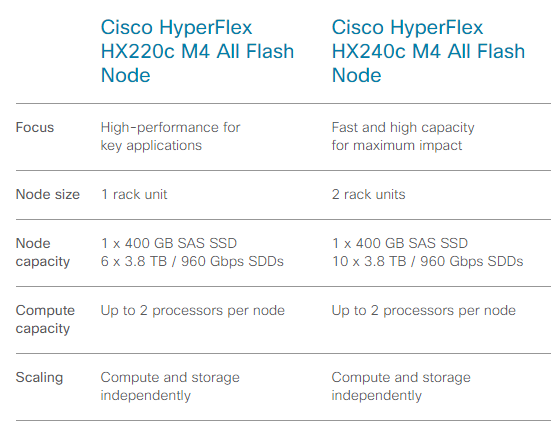 All the best features of the hybrid Hyperflex system, are also in the new All Flash system. And because the Log Structured file system is optimized for Flash, the endurance is way better. 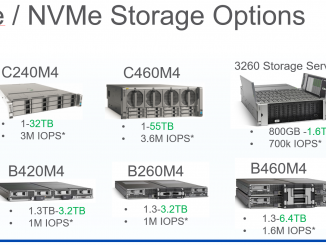 The capacity of the SDD’s changed so more storage is available. Because an All Flash System got only SSD’s in it, you will get tons of IOPS. If you have a very intensive R/W application, like a database, it can easily run on a Hyperflex All Flash. So not only VDI / VSI can be running on the Hyperflex system, but also databases like SQL, SAP etc. You can configure two different systems which got the UCS Rack server C220 and C240 as base. 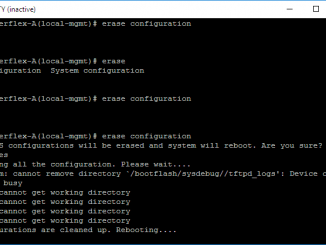 In the beginning you can only put a maximum of 10 SSD in a HXAF240 system and I think you can expand this to the full server when Cisco has tested everything. 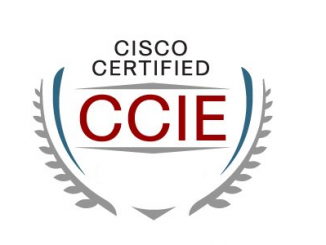 Top 5 : Why Cisco UCS Rack Servers ?